How compiler works is not easy to explain in one sentence. The best way is to use an example. A compiler is a computer program that transforms source code written in a high-level programming language into a lower level language. 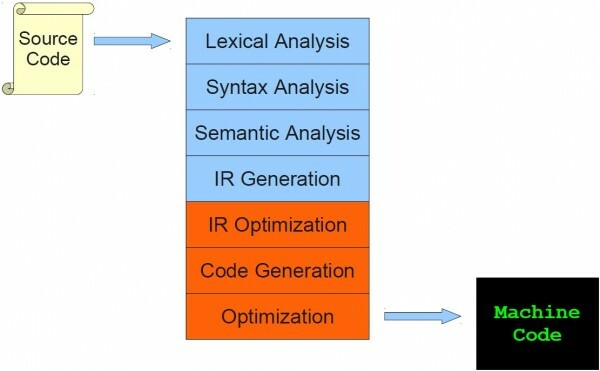 Basically, a compiler consists the following phases: Lexical Analysis, Syntax Analysis, Semantic Analysis, IR Generation, IR Optimization, Code Generation, Optimization. The following shows the output of each phase. 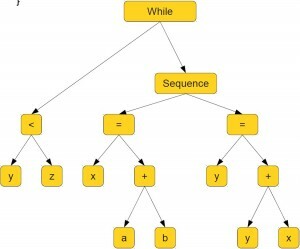 Convert a program into sequence of of tokens. Recover the structure described by using series of tokens from previous scanner. Ensures program has a well-defined meaning. 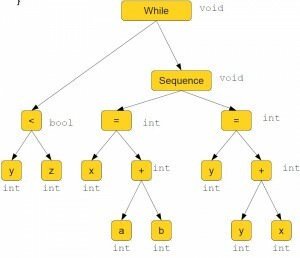 I was thinking to draw a diagram which can clearly show how a compiler works. However, I found the diagram in the dragon book is very good, no more diagram work is necessary anymore. 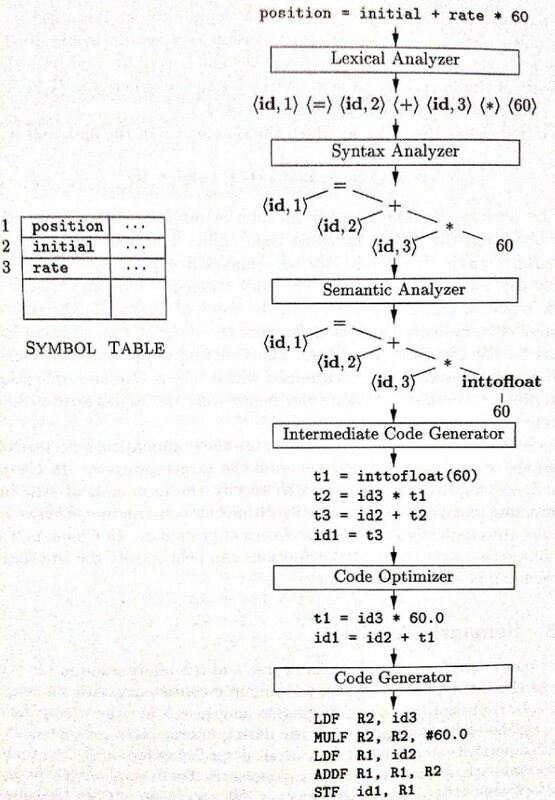 I still want to make a small compiler which compiles a simple one function from start to end. Will do some research and possibly figure out a good solution for clear demonstration. nice work! It’s really easy to understand.